Fulton, NY – Participants in Catholic Charities of Oswego County’s Kinship program were recently treated to a visit to the Museum of Science and Technology (MOST) in Syracuse. Staff accompanied more than 50 participants as they discovered the many attractions and interactive displays that the MOST has to offer that allows visitors to have fun while they learn more about science. Youth in Catholic Charities of Oswego County’s Kinship Program recently had a field trip to the Museum of Science and Technology (MOST) in Syracuse. They enjoyed seeing the many attractions and interactive displays and viewed the IMAX movie Born to be Wild. 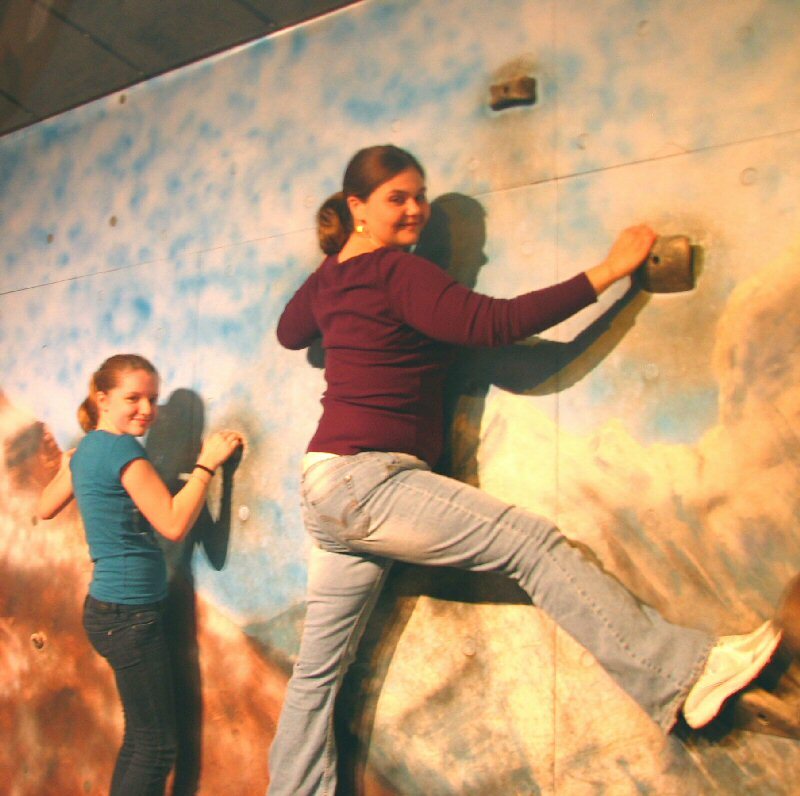 Taking on the rock-climbing wall are Crissi Gilbert (left) and Mary Smiley. The trip also gave children the opportunity to make new friends as they shared time with other children who are participating in the Kinship Program. The trip was coordinated through the Kinship program, which provides support to kinship caregivers who have taken on the responsibility of raising their relative’s children.